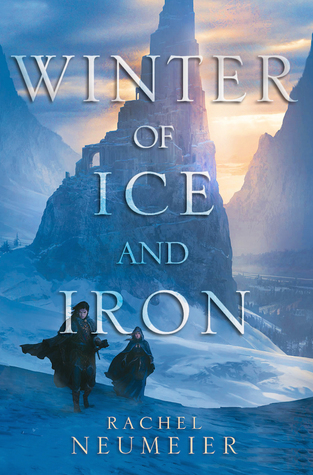 Winter of Ice and Iron is spellbinding. Neumeier is unhurried in her story telling, slowly building us a world as cold as you could imagine, and characters that range from instantly likeable to prickly with a good heart. If you read this, taking your time, you will be rewarded with a truly spectacular plot of immense size and characters who take little pieces of your heart. In this gorgeous, dark fantasy in the spirit of Jacqueline Carey, a princess and a duke must protect the people of their nations when a terrible threat leaves everyone in danger. With the Mad King of Emmer in the north and the vicious King of Pohorir in the east, Kehara Raehema knows her country is in a vulnerable position. She never expected to give up everything she loves to save her people, but when the Mad King’s fury leaves her land in danger, she has no choice but to try any stratagem that might buy time for her people to prepare for war—no matter the personal cost. Hundreds of miles away, the pitiless Wolf Duke of Pohorir, Innisth Eanete, dreams of breaking his people and his province free of the king he despises. But he has no way to make that happen—until chance unexpectedly leaves Kehara on his doorstep and at his mercy. Yet in a land where immanent spirits inhabit the earth, political disaster is not the greatest peril one can face. Now, as the year rushes toward the dangerous midwinter, Kehera and Innisth find themselves unwilling allies, and their joined strength is all that stands between the peoples of the Four Kingdoms and utter catastrophe. Today it’s another mini-review, not because I didn’t enjoy this book, but because the plot is so complex and slow burning, that it demands you read it. There’s very little I can say that can even do any sort of justice to the wonderfully intricate story, the characters that get under your skin, and the intrigue seeping through the pages. If you like Jacqueline Carey, this is for you – I got major Phedre feels from Kehera (although their roles are quite different). I knew I would be hooked from the beginning, as Neumeier’s prologue is a haunting story about women who are oppressed by men and taught to extinguish their own spark. From then on I was committed. Granted, I had to pick this up and put it down again, because this is not a binge book, there’s too much going on, too many elements, and you need the time to actually savor what happens. (Many people have long names and then refer to each other with shortened or a different name. You’ll catch on, don’t worry. I was worried and was thinking about making a list, but they become clearer once you keep reading). The prose is atmospheric and you can almost feel the chill, the ominous tones, and the tension. This is a book which explores the sacrifices we make to give ourselves time to combat the rule of iron fists. There are characters who you will immediately like, those you never know how you feel, and others you warm up to – but once you do they are your favorite. We have varying relationships of family, duty, and love. Kehera is my favorite character, of course, but there were a whole heap of others who almost made the cut. This is a dizzying book of magnitude, politics, love, and family. The plot is astounding because of its depth, details, and surprises. There’s a world full of wealth and towns, and powers that have a mind of their own and there are fantastic characters. Each brings a different light, whether it be scholarly reluctant ruler or kind hearted former heir or even a powerful king who carries the weight of the world. You need to take your time with this, to become immersed, in this slow burning fantasy that will reward you if you devote your time to it. You can pick up Winter of Ice and Iron on Amazon(US), your local indie, and Goodreads. It comes out November 21st! I need all the epic fantasy recs what’s your top favorite?